We were waiting for the Pass A Grille Chowder Challenge long before it appeared on the 2015 calendar of events. This was a hit with us last year and we ready to go back. How many events have the best restaurants in the area all cooking to impress you? Last year’s event was a lot of fun so we set the date on the calendar and made our plans to attend. 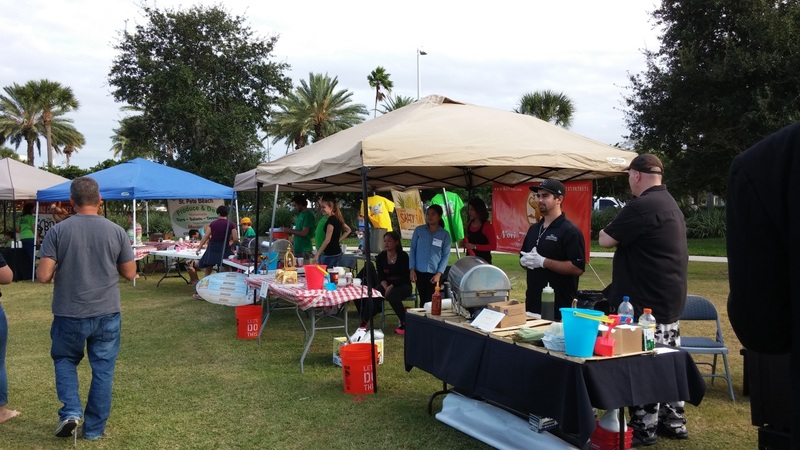 While the event is put on by the community of Pass A Grille, this year the park where the event is normally held was in use for a road repair project. 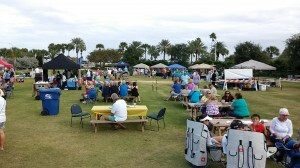 Alas, the Chowder Challenge event was moved to another gorgeous, outdoor, waterfront venue in St Pete Beach. 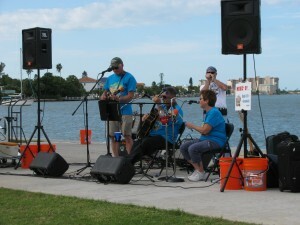 We heard the music on the way in and were pleased to see that the band had been set up right next to the intra-coastal waterway, providing a deep blue background for their stage. Dining tables spread across the lawn to the left, with nearly ever seat filled. The much-anticipated “chowder arena” awaited to the right. The chowder was ready, and so were we. We were happy to pay for our wrist band and get right to it. We started at the Shells booth and then made our way around the tent-ringed lawn. In total, we had to return three times in order to sample all of the chowders available. That’s a lot of chowder. You will notice that we are not saying clam chowder because, at this event, the types of chowder can vary in wild and fascinating ways. Aside from clams, the ingredients included grouper, shrimp, and conch, crab, and some others. The good news is that, with top recipes and restaurants involved, it was impossible to go wrong. We won’t give away our personal chowder challenge favorites here, but we will say that there were too many delicious chowders to easily pick the winners. At the gate, you are given three coins to award vendors of your choice. That means you can only pick three top chowders. A pad and golf pencil are provided to keep the all-important notes. We made our difficult choices and voted from a host of top picks. 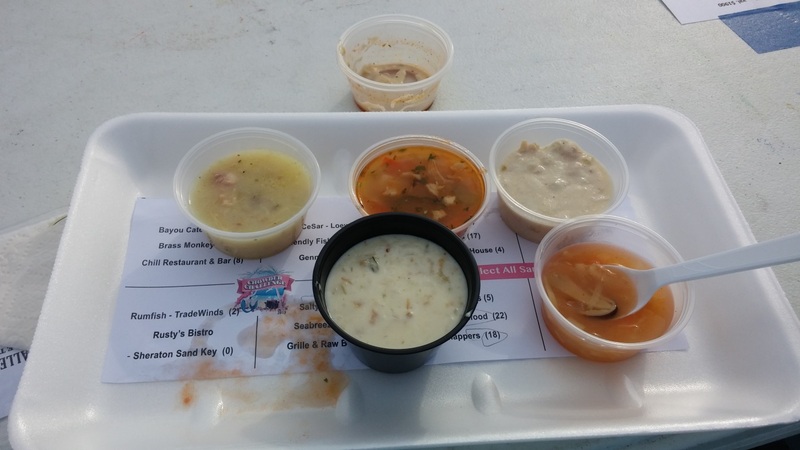 It was hard to do, but that was the burden one bore when attending the Pass A Grille Chowder Challenge for 2015. The Golden Ladle Award went to Shells of St. Pete Beach. Event judges gave the top spot to Snapper’s Sea Grille of St. Pete Beach. Third Place – Loews at Don CeSar Hotel. 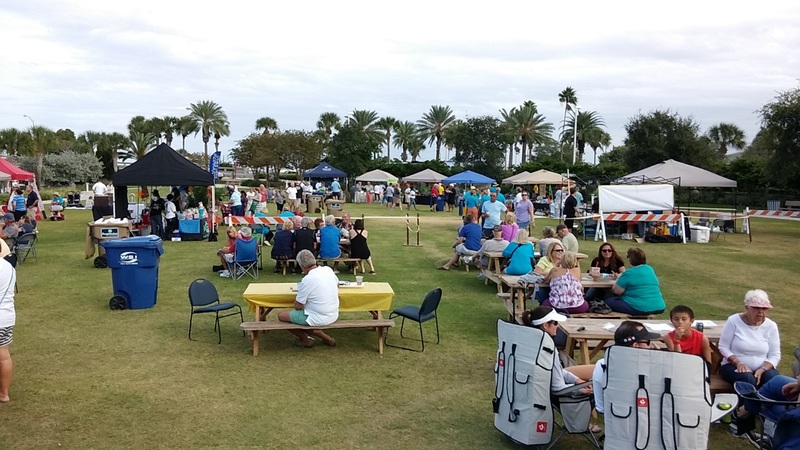 Pass a Grille is a Florida community at the south end of St Pete Beach, located on the Central Gulf Coast. This charming island town is quiet and fun to visit, with a fantastic stretch of sand for beach lovers.